One of the most effective ways to keep your landscaping looking new and freshly manicured year round is to prevent weed growth, keep everything in place, and have a finishing touch that will mask any problems. Installing gravel, mulch, and/or river rock is a fantastic way to do this. These are some of the most common solutions that we provide to our clients. All three have pros and cons for installation, and cannot always be used interchangeably. Still, when you choose the right one for your landscaping project, you will see a vast improvement in the quality of your plant life. Not only does installing mulch, gravel, or rock make your yard look better, it helps with keeping nutrients and water in the soil. 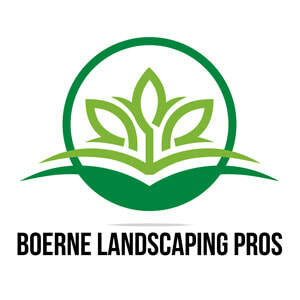 Our professionals at Boerne Landscaping Pros. are experts in lawn, garden, and landscaping needs, and we have seen the vast improvement they make in any yard. We can guarantee that our services will help to improve your gardens, reduce weeds, and even decrease the amount of maintenance that you need. We will be able to determine the exact type and quality of filler that is ideal for your Boerne home and the problems that you have. Mulching, adding river rock, or laying gravel are some of the most beneficial services that we offer, and we find that it is underutilized. 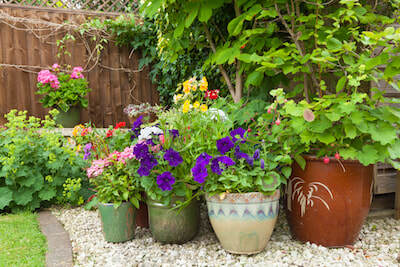 Makes garden have more color and more beautiful appearance during all seasons of the year. Our mulch, gravel, and rock services will keep your lawn and landscape health, attractive, and safer throughout the year. 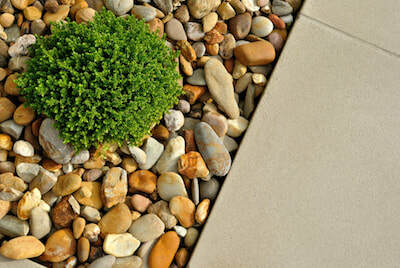 When we come to look at your property, we will determine which of the materials are best to use in your yard. We can talk to you about the color choices you have and the texture options there are as well – there are many more choice today than there were just a few years ago. Many people question about whether it is better to use organic or inorganic materials in their yards. Organic mulch materials improve the soil of your yard while still providing all of the benefits. Mulches will decompose over time, adding to the composition of your soil, keeping them loose and health. Organic mulch helps with root growth, retention and filtration of water, and helps with the pH of your soil. At Boerne Landscaping Pros, our goal is to make sure that your landscaping and lawn is the best it can possibly be – and that includes your flower beds. We want you to be totally satisfied with our work, which is why we handle everything ourselves. We will do whatever it takes to ensure that the mulch, gravel, or rock that we use benefit your yard. Give us a call today to start the process.